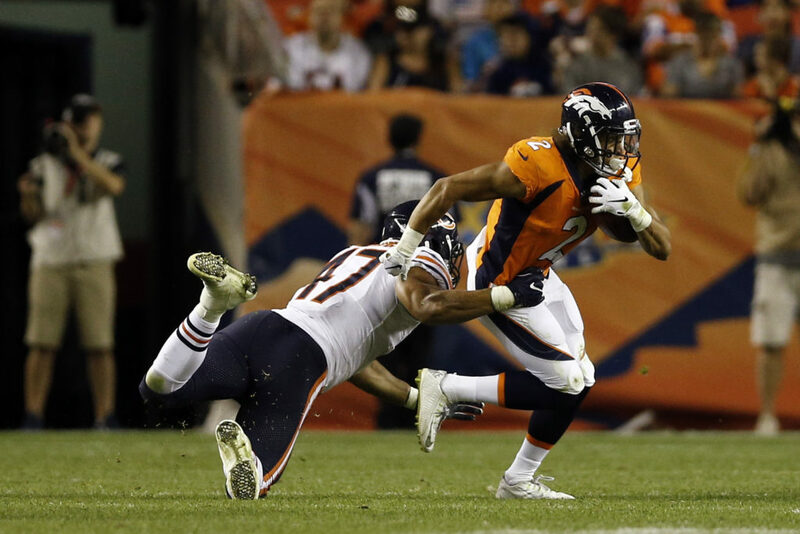 Which drafted (and undrafted) rookies make the Broncos roster? In the short term, there are many ways to describe the Denver Broncos 2017 draft class, mostly disappointing overall. Outside of offensive tackle Garett Bolles — who had an underwhelming first year himself — the Broncos got little to no production from just about every other selection. Second round selection DeMarcus Walker was forced to change positions, failing to produce in year one. Third-round selection Carlos Henderson hasn’t played a snap for the Broncos and now likely won’t ever and Brendan Langley is on the bubble to make the roster this year. But 2018 is showcasing young talent on the Broncos that continue to turn heads with each passing week. Bradley Chubb, Courtland Sutton, DaeSean Hamilton, Royce Freeman and Phillip Lindsay are all impressing early. If last year’s draft class was a dud, 2018 is showing promise of many studs. To discuss the rookie stand outs in 2018 on the Broncos Blitz podcast is host Ronnie Kohrt. Kohrt chats about the strong impressions that Lindsay and Sutton are making on offense, while Freeman may end up being the Week 1 starter. Kohrt brings on guest host Jake Meier — host of “On Campus” on Mile High Sports Radio, the MHSR Colorado State pregame/postgame show — to discuss the once collegiate players, now performing at the highest level. Kohrt and Meier chat about the impact they expect from many on the rookie class and how one rookie (not named Bradley Chubb) will be the most impressive in 2018.